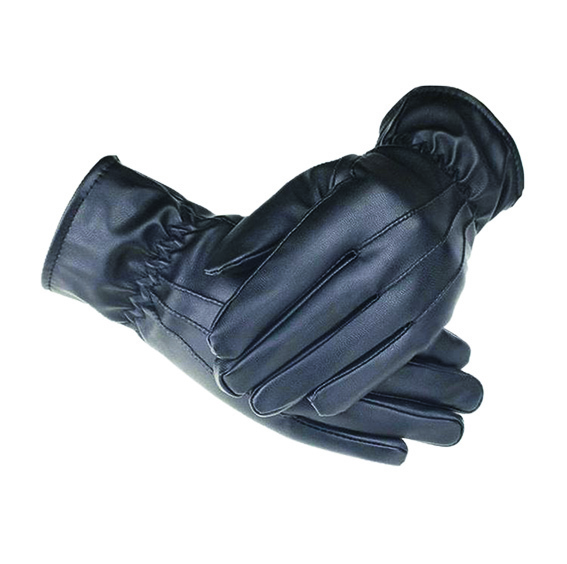 Finished in black leatherette with a lovely soft lining, these gloves feature smartphone compatibility so on those cold winter days you can still use your phone without taking off your gloves. A great glove for driving in, walking in or just to keep your hands extra warm this winter. The gloves come in either small/medium or medium/large and have a gentle expanding grasp on the wrist, with black stitching along the centre of the glove and a fleecy lining. You also have the option to buy extra pairs for only £4.99. ONLINE Go to jewellerybank.co.uk, select the Candis Magazine section and quote the coupon code CAN18D in the promotion box. If you would like any help ordering on the Jewellery Bank website, the Candis customer relations team will be happy to assist you and are available on 0800 814 5400. BY POST Complete the VOUCHER, enclosing the correct payment, and post to Watch Offer, Sedgepaul Online Ltd, 1 Reedmace Close, Worsley, Manchester M28 7FX. Terms & conditions: *Not real leather. One application per reader. Correct payment for postage £4.99. No loose stamps or coins accepted. Not to be used in conjunction with any other offer. Please allow 28 days from receipt of order for delivery. Closing date 30 November 2018. Open to UK residents only. Promoter: Sedgepaul Online Ltd, Jewellery Bank, 1 Reedmace Close, Worsley, Manchester M28 7FX. comes up “Not valid” The Gloves showed to be gents not ladies but they looks exactly the same as shown in the picture?! Has anyone managed to get them?